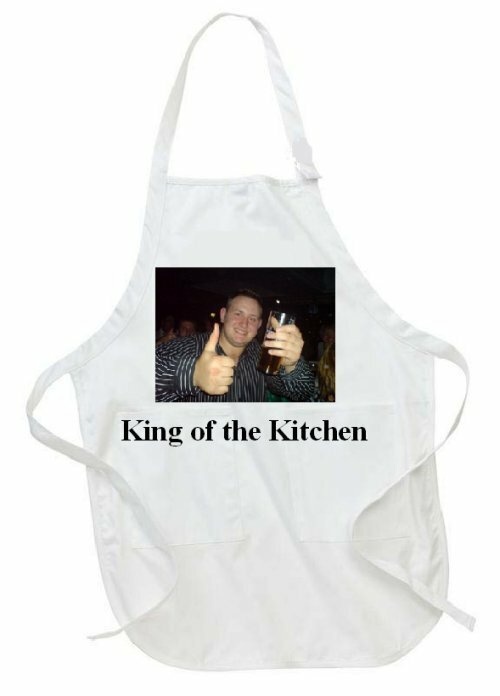 Personalised Full Colour Photo Adults Apron. The apron is white and measures 86 x 60cm. Please check out the kids sizes that we also within our webshop. For best results please provide a photo/picture as clear as possible. If we feel the quality of the picture isn't suitable we will email you and ask for an alternative picture. You can personalise with a Photo and/or Text. This is a great personalised gift to show off your amazing photos for Birthdays, Anniversaries, Weddings, Christmas…… it’s endless! Ideal for the chef in your household!